Wondering if one of my patterns is right for you? Well, I’ve put together a handy chart that will help you determine the difficulty level of each of my patterns! These levels have been determined by the Craft Yarn Council. 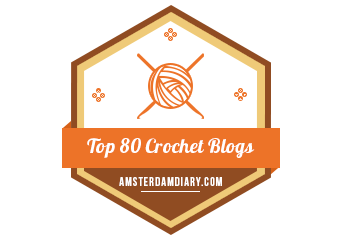 You can find their knitting and crochet skill level charts here, but I’ve written out the information below. Projects for first-time crocheters using basic stitches. Minimal shaping. These are absolute beginner patterns. I don’t have a whole lot of patterns available at this skill level, but that doesn’t mean I won’t in the future! Projects using yarn with basic stitches, repetitive stitch patterns, simple color changes, and simple shaping and finishing. A lot of my patterns fit between Easy and Intermediate. I try to use basic stitches and patterns in all of my crochet patterns. I don’t do a lot of patterns with lace (or other similar things) here, but some parts of my amigurumi patterns–hair especially–can be defined as intermediate. Some of my graphghans can also be defined as Intermediate due to complicated color changes. Projects with intricate stitch patterns, techniques and dimension, such as non-repeating patterns, multi-color techniques, fine threads, small hooks, detailed shaping and refined finishing. I don’t consider myself a very advanced crocheter, so most of my patterns probably won’t ever see an Experienced skill level. I’m still working on adding these skill level notations to my patterns, but you can count on seeing them in future pattern releases!